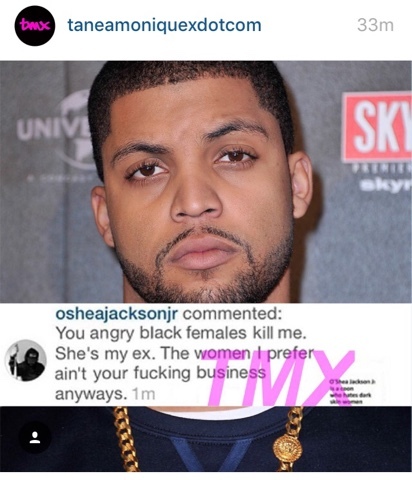 Tanea Moniquex | Celebrity Entertainment News, Fashion, Music and Advice: Oshea Jackson Jr responds to "angry black women"
Overwhelmed at the response O'shea took to his Instagram account to barely address the comments Jackie made on his behalf. Claiming the two are not a couple (as if that's the main issue -rolls eyes-) and ask that people leave her alone. Let's be clear O'shea, those same black women who "kill you" are the ones who stood in line to support you! This isn't about your relationship. 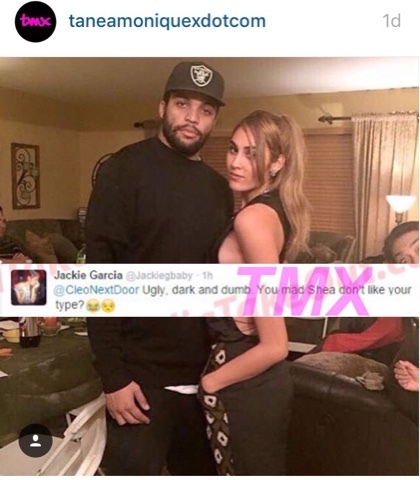 Trust me when I say this black women world wide do not care who you date. You're defending someone who put out hurtful and ignorant comments towards a race but you're mad at your fans? Who's your publicist? You need a new one.